Tobacco is a leading commercial crop valued for its leaf containing several important phyto-chemicals including nicotine. Conventionally, tobacco is used in the manufacture of cigarettes, bidis, scented chewing mixtures, cigars, cheroots, zarda, hookah, hookah tobacco paste, snuff, gutka and quiwam. 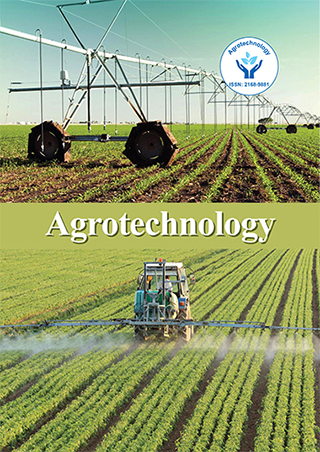 Tobacco research, in India, earlier used to be in the direction of improv - ing tobacco plant for higher leaf biomass with desirable leaf quality suitable for its conventional uses of smoking, chewing and snuffing. In view of the perceived health hazards associated with the traditional form of tobacco consumption, research efforts are intensified towards exploiting tobacco for its non-conventional and economically viable alternative uses. The research work done in this direction brought out tremendous scope for exploiting the crop for extraction of many valuable phytochemicals. Tobacco is an excellent source of phytochemicals viz. nicotine, solanesol, seed oil, edible proteins (green leaf) and organic acids (malic and citric) having pharmaceutical, agricultural and industrial uses. Realizing the potential of tobacco for its alternative uses, research priorities are fine tuned towards increasing the seed/seed oil content and concentration of various phytochemicals in the tobacco plant, development of efficient methods for the extraction of phyto-chemicals, studying the suitability of seed oil for human consumption etc.Tobacco plants are used for molecular farming of important biomolecules viz., antibiotics, vaccines, cancer treating, other medicines, blood substitutes, biodegradable plastics, industrial enzymes and solvents through genetic en - gineering. Genetically engineered tobacco plants are also being explored for cleaning up soils contaminated around weapons factories and munitions dumps. K. Sarala has completed Ph.D from Indian Agricultural Research Institute, New Delhi. She is working as Principal Scientist at Central Tobacco research Institute, Rajahmundry. She has 20 years of research experience in tobacco biotechnology and Breeding. Published ~20 research papers, presented 40 papers in National and International conference/symposia, written 2 books, 10 bulletins, 6 book chapters and 5 leaflets. Delivered 15 guest lectures and 3 radio talks. Received Indian Society of Tobacco Sciences Gold medal and Tobacco Board Award for outstanding contributions in tobacco research. Guided one M. Phill, one Ph. D and 120 M. Sc. Students (project works).